Make your next birthday party a snap to plan with our help! Do you have an art project you always wanted to do? Let us know and we'll make it happen for you! Or take a look at our gallery and choose one of our fun projects. And the best part? We'll take care of the mess!! Are you looking for a great evening with your friends? How about a couples Art Night? 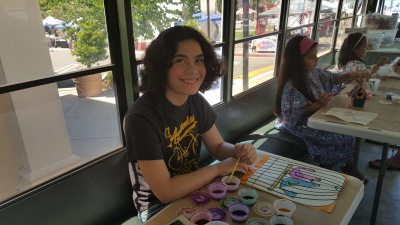 When you book your party with Allison's Art Bus, you get the fun delivered straight to your door! 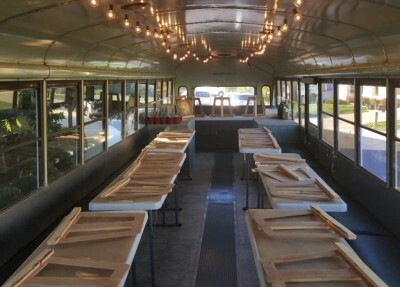 We'll provide the bus, the paint supplies and the artist, you supply any snacks or drinks you would like. Call to book your Art Party now! 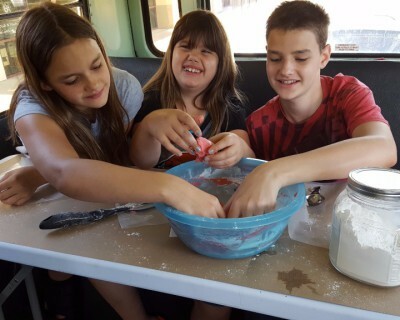 Allison's bus isn't just for kids! Do you want a fun, and easy to plan, team outing for your office or special group? Give us a call or shoot us an e-mail and we'll help you plan your event on the bus! Whether you are a public educator or a homeschool teacher, we're here to provide art classes tailored to your group's age and tastes! 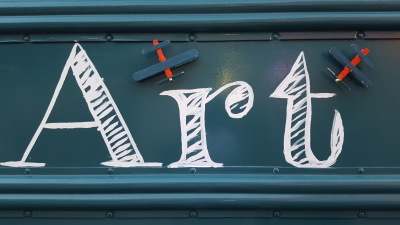 Contact us today to plan your group's art education!